Discover a plan that offers a fixed income over a fixed term. What is a Cash-Out Retirement Plan? Choosing our Cash-Out Retirement Plan means you’ll get a pre-arranged regular income over your chosen period of between three and 25 years. Our Cash-Out Retirement Plan does not provide an income for life but you may sometimes hear or see this type of plan called a fixed term annuity. To apply, you must be aged between 55 and 85 and have at least £10,000 left in your pension pot, after you’ve taken any tax-free cash. Our Cash-Out Retirement Plan can be tailored to suit your retirement needs and you can even choose optional extras. Please be aware, the options you pick will affect the level of income you’ll get. It’s also worth shopping around and getting as much advice as you can, before you decide to buy. Other providers, may have more appropriate products, that provide a higher level of retirement income. You can get a quote online, today, for any of our retirement products. Use our retirement income calculator to get an example of what your pension pot may provide you with. Choose your term length and how much income you’d like each year, we’ll then work out how much in pension savings is needed to buy the retirement plan. Receive payments monthly, quarterly, half-yearly or yearly. We can also pay your income in advance (at the start of your payment period), or in arrears (at the end of the payment period). To take out the full value of your pension pot by receiving fixed, regular payments over a fixed term. A more tax efficient way to take your pension pot than all at once. You could avoid higher rate tax. Peace of mind that your income is unaffected by rises and falls in the financial market. Your chosen beneficiaries to get your income if you die before the term ends. A fixed income. For example, to bridge the gap between other sources of income. To take cash out of your plan as and when you like. A lump sum at the end of your plan, known as a maturity value. To change the amount of income you receive. An income that lasts your whole life and doesn’t end on a set date. A plan suited to your (or your partner’s) lifestyle choices, or if you’ve been diagnosed with a serious medical condition. Instead, have you seen our Pension Annuity? To immediately take the full amount in one go. You can choose to take 25% of your pension pot as a tax-free sum. If you don't take it at the start of your plan, you won't be able to take it later. You can’t make any changes once the plan has started. If your circumstances change during the term of the plan, you may be able to cash it in or transfer to another pension product. You’ll get the same income every year. This means, with inflation, it may not buy as much in the future. Payments will be subject to income tax, which could affect any means tested benefits you claim. Any tax you do pay on the income of the plan will depend on your circumstances, and may change based on your income tax rate. Income will stop at the end of your plan. You might be able to get a higher income with another product that takes into account any lifestyle health risks or medical conditions. See how much income you might get with our range of retirement products. What should I think about before accessing my pension pot? The way you're taxed and how much you have to pay will depend on your individual circumstances, such as any other sources of income or savings you have, and may be subject to change. Read more information about tax and your retirement. If you take too much money from your pension pot, you may not have enough income to live on for the rest of your life. If you're leaving some or all of your pension pot invested, it's important you consider the funds you're invested in to make sure they're still the right choice for you. The value of the investments in your pot can go down as well as up. If you take money out of your pension pot it is considered as part of your Estate and may become subject to inheritance tax. Taking money out of your pot may mean there isn't enough money left to provide for your dependants should you die before them. Where can I find guidance and advice? The Government offers free and impartial advice through a selection of organisations. They can provide tools and calculators to help you, and experts you can chat online with, call or see face to face. If you don’t have a suitable adviser already, you can find one in your area at unbiased.co.uk View - Unbiased. If you’re feeling overwhelmed or would like more general support, Silverline can offer information, friendship and advice. Will I pay tax on my pension income? The income you receive from your pension is subject to income tax. The income tax bands for the tax year 2019/2020 are shown below. These are set by the Government and change every year. You can check the latest details or historic tax bands directly at GOV.UK Income tax rates or with a financial adviser or an accountant. If your total income from all sources adds up to more than your Personal Allowance you will have to pay tax at the rate shown below. The tax you pay depends on your individual circumstances. The above examples are based on current law and tax rates and may change. If you live in Scotland or Wales you may have a different income tax rate of band. The amount you can earn in a tax year without paying tax is called your Personal Allowance. You’ll only pay tax on income over that allowance. The Personal Allowance drops by £1 for every £2 of income above £100,000. There is no Personal Allowance where income is higher than £125,000. Your Personal Allowance may be bigger if you claim Marriage Allowance or Blind Person’s Allowance. Tax will normally be taken off and paid to HMRC by your pension provider before you receive your income. We use the tax code we get from HMRC to work out how much tax to deduct from your pension. Molly wants to use one of her pension pots to travel more in retirement. 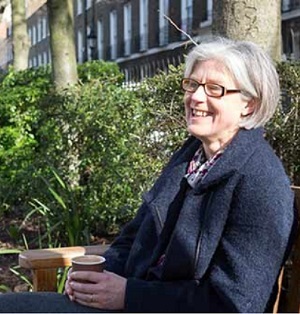 She buys a Cash-Out Retirement Plan using £50,000 from one of her pension pots. Fixed for five years, that gives her £10,300 a year. Her income will also be paid to her beneficiaries if she passes away before the term ends. In total, she’ll get £51,500 before tax. These are example figures only. How can I take out a Cash-Out Retirement Plan? As part of your shopping around, why not get an online quote to see what annual income our products can give you.